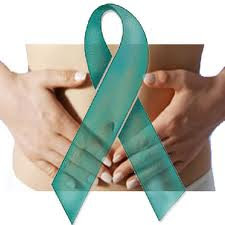 Do you know that ovarian cancer has the highest mortality rate of all female reproductive cancers? This is partly because of a lack of early symptoms and an effective screening test. So it's often diagnosed at advanced stages when the cancer has spread beyond the ovaries. Here are some myths and facts about ovarian cancer that could save both your life and the lives of your loved ones, as sourced from The National Ovarian Cancer Coalition (www.ovarian.org) and National Cancer Institute (www.cancer.gov/cancertopics/types/ovarian). FALLACY: The Pap test can diagnose ovarian cancer. TRUTH: A Pap smear is used to diagnose cancer of the cervix (the opening of the uterus), but not other cancers of the female reproductive tract. FALLACY: Ovarian cancer has no symptoms. FALLACY: Ovarian cysts and ovarian cancer are the same thing. TRUTH: Most ovarian cysts are not cancerous (i.e. benign). Cysts may be found on the surface of an ovary or inside, and contains fluid. Most cysts go away with time. FALLACY: There are no diagnostic tests that can be used to detect ovarian cancer. TRUTH: Even though no reliable screening test exists, annual vaginal exams to feel for abnormal swelling and tenderness, transvaginal sonography and a blood test to determine the level of a tumor marker called CA-125 are all used to help determine the need for a CT scan, X-rays and tissue samples from the ovaries. FALLACY: There are no known risk factors for ovarian cancer. FALLACY: Ovarian cancer does not run in my family so I can't get it. TRUTH: All women are at risk for ovarian cancer. Only about 10% of cases are hereditary. FALLACY: Taking birth control pills increases your risk of getting ovarian cancer. FALLACY: Ovarian cancer has no cure. TRUTH: If ovarian cancer is detected early and treated properly, the 5-year survival or cure rate is 90%. However, only about 1 in 4 cases are diagnosed before the cancer has spread. Late diagnosis has a significantly lower survival rate of only about 29%. I cannot emphasize enough that Effective Prevention is absolutely crucial. 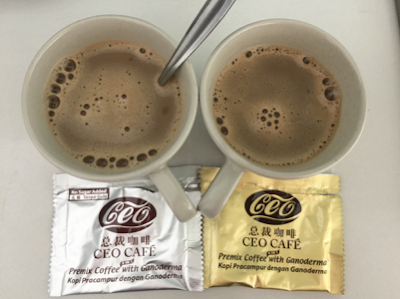 Please click on this link to learn more about a natural solution of how to prevent ovarian and other types of cancer - take Lingzhi / Ganoderma. Email me at laifuiping@gmail.com to buy now and get your peace of mind.